As a mechanic, one of the most crucial tools that you can have is a diagnostic reader. Onboard diagnostics (OBD2) scanners can help you figure out what’s going on underneath the hood so that you can fix it quickly and efficiently. To help you get the most out of your work, we’ve compiled a list of the best professional auto scan tools. Although they can be suitable for at-home maintenance, the quality and performance of these devices are good enough for professionals of all skill levels. Let’s see what they have to offer. Compared to other scanning tools, you can do more with this setup, including enhancements and improvements to vehicles in your shop. This system has been around since 2011, and it can do so much that you’ll probably not even use many of the features that come with it. 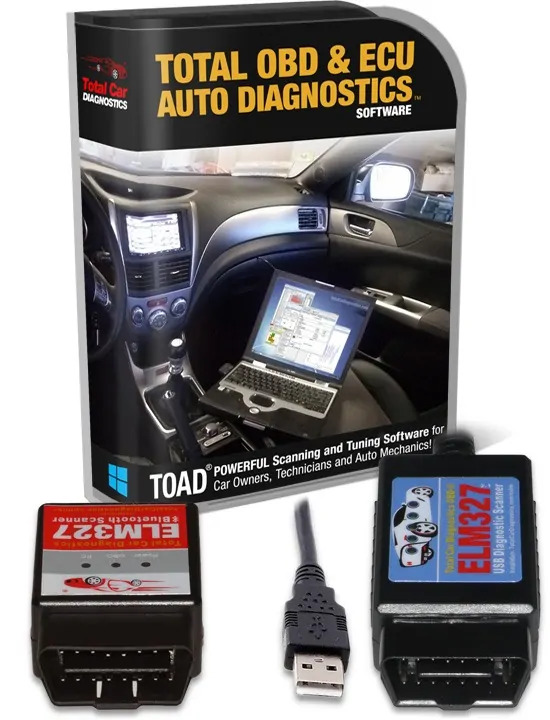 TOAD stands for Total OBD2 Auto Diagnostics, and it is the total package. ​The primary reason we like this scan tool so much is that it provides so much information for each vehicle in your shop. You don’t have to pay a monthly subscription, either, meaning that once you buy this system, you’ll be ready to go forever. One issue with most scanners is that they can become obsolete as new scanner codes come out. With TOAD, however, you will have access to all of the latest codes forever. You don’t have to pay a monthly subscription, either, meaning that once you buy this system, you’ll be ready to go forever. As a professional, you will be impressed by how much data is offered, as well as the fact that you can adjust a vehicle’s performance accordingly. Your customers will appreciate the attention to detail that you get with TOAD. If you use a Mac, then you have to download Windows to be able to use this program. Also, you have to use a laptop to figure out what’s going on. While these issues aren’t that severe, it shows that the system is not as user-friendly as other OBD2 scanners. 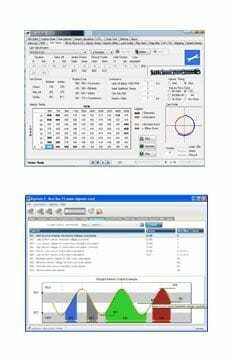 ​For the most part, professional-level automotive scan tools are not that ubiquitous. As you will notice on this list, Autel is one of the most well-known companies making high-quality scanners. In this case, we’re looking at the Elite model, which not only allows you to diagnose issues with vehicles but program the car’s ECU system. If you want to improve the performance of your customer’s ride, it’s relatively easy to do with this scanner. ​Although TOAD is the leader in providing lifetime updates for all makes and models, the Elite is a decent runner-up. You do have to renew your license annually, so plan accordingly.Still, it’s nice to know that the system will update itself automatically so that you don’t have to do anything. Thus, if you’re working on brand-new cars, you can be sure that you’re always ready to go. The way that this scan tool works is that you have a wireless tablet that communicates with the diagnostic device that you plug into the vehicle itself. We like the size and feel of the tablet because it’s easy to read and it’s built for professional work environments. Usually, sensitive electronics can break relatively fast when you’re handling it daily, but this system has a rubber covering so that it will stay in good shape for a long time. One thing that sets the Elite apart from other Autel Scanners is that you can program a vehicle’s ECU system. With lower-level models, you can only check to see what’s wrong. However, the Elite enables you to improve things like fuel efficiency and engine performance. Your customers will appreciate the extra attention to detail that comes with your work. Although TOAD is the leader in providing lifetime updates for all makes and models, the Elite is a decent runner-up. You do have to renew your license annually, so plan accordingly. Still, it’s nice to know that the system will update itself automatically so that you don’t have to do anything. Thus, if you’re working on brand-new cars, you can be sure that you’re always ready to go. Overall, we appreciate the simplicity of the Autel system and the fact that the Elite comes with additional diagnostic and programming options. The tablet itself is easy to use and built for heavy use, meaning that you don’t have to worry about breaking it by accident. The operating system is from Autel, which means that it doesn’t work as reliably as a computer or your smartphone. There are times when the system will freeze, and you have to reboot the tablet to get started again. While it’s not a huge problem, it is an inconvenience. Also, this scanner works for most makes and models, but not all of them. As we mentioned, Autel is definitely one of the most prolific makers of professional-grade auto scan tools. This unit is a step down from the Elite version, meaning that you can’t program ECU functions on newer vehicles. Nonetheless, you can still diagnose a wide range of problems and see data in real-time, which is more than enough for most mechanics to do their job efficiently. Also, you still get the same rugged tablet, meaning that you can use it in your shop worry-free, thanks to the rubberized housing and reliable software. With other OBD2 scanners, you have to be physically connected to the car to see what’s going on. With Autel, the scanning device sends a signal to the tablet, meaning that you can run your diagnostic while outside of the vehicle if you prefer. Also, because the tablet has a large screen, it’s much easier to read what’s going on and compare data. We like the wireless connection because it enables you to work much more efficiently. Rather than being stuck inside the car while it runs, you can diagnose issues and figure out solutions from almost anywhere in your shop. That being said, the range is limited, so don’t assume that you can check all of your cars from anywhere on the premises. Although this system doesn’t have ECU programming available, you still get access to over 80 different makes and models, including European and Asian vehicles. Best of all, the system updates automatically, so when changes come out you don’t have to worry about being obsolete. Also, you get access to the MaxiFix online chat board, which allows you to find solutions to common problems. There are numerous manuals and tutorials available, making it easy to work faster and more reliably. Since this scanner is meant for professionals, you get several apps that help you manage your customer’s data for easy access. You can also store it through the cloud so that you can look at it from any computer. Saving this data and recalling it when a customer returns helps you stay on top of their vehicle performance, as well as see how it’s running over time. As with all Autel Scanners, we like the ruggedness of the tablet and the abundance of scanning tools and diagnostic features. We appreciate the fact that you get a full year of updates, and that you can manage your customer’s data from a centralized source. The processor included in the tablet can run slow from time to time, and the wireless connection may be spotty depending on where you work. Also, it’s not a complete list of makes and models, so you may be missing diagnostic data. Our final Autel scan tool is the MK808. What sets this model apart from the others is that you can connect and diagnose issues with other systems besides the engine and drivetrain. Thus, if you want to improve a vehicle’s fuel system or check tire pressure, you can do that from this device. Usually, OBD2 auto scanners are designed to only work for the check engine light. However, cars have multiple onboard systems, so it’s better to be able to diagnose and check on them all with a single device. The MK808 allows you to monitor additional systems like TPMS, oil, fuel efficiency, and brakes. This makes the scanner much more versatile than other units. With all Autel devices, you can access all of your data from intuitive apps and programs. Although the system is not as high-performance as a standard laptop, it’s more than sufficient for what you need it to do. Also, you can navigate through the menu screens much faster than with other scan tools. ​As usual, you get a full year of updates with this system. Also, you can connect to the cloud to find manuals and repair guides for a wide range of problems that you may encounter. We really appreciate the fact that you can check almost every system in a car. This is a significant limitation that plagues most OBD2 scanners, so you can do a lot more with a single device than you can with most others on the market. The operating system can still be sluggish, and the screen may freeze from time to time. Autel’s apps are functional, but they could be improved. Unfortunately, the company is not in the business of making apps, so they are limited in their performance. Our final OBD2 scanner tool is a handheld device from Innova. So far, we’ve been looking at systems that utilize a larger screen, so this may be a bit smaller than what you prefer. Still, it offers a lot of great features, making it a viable option for most professional mechanics. You can connect this scanner to the car using the cable attachment, or you can connect wirelessly. We highly recommend using Bluetooth so that you can work more freely, but sometimes the connection can get interrupted, so it’s nice that you have the option if necessary. In addition to the check engine light, you can monitor and reset warning lights for brakes, tires, steering, and oil. This is an all-in-one system that lets you not only check and reset these issues but record real-time data as well. Unlike the bulky Autel models, you can take this scanner almost anywhere. Its lightweight design makes it an ideal part of any professional environment. It’s also built well, meaning that it won’t break down from mishandling. This is a simple and easy to use device. We like that it has a broader range of diagnostic options (i.e., brakes) and that it’s so small and compact. Also, being able to record data in real time is a plus. As with most handheld scanners, the screen may be a little small for some users. Also, it doesn’t cover all makes and models, so you may be out of luck with various European and Asian vehicles. As a professional mechanic, you need to be sure that your auto scan tool is sufficient enough for all of your customers. TOAD is by far the ultimate scanning system, and it will enable you to be more productive and more profitable. With lifetime updates, mountains of real-time data, and the ability to hack vehicles to improve their performance, TOAD makes your job a lot easier. 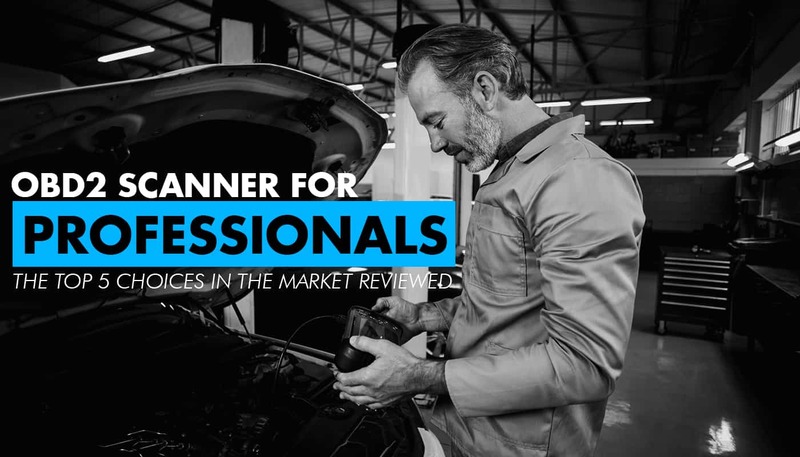 This ultimate guide on best professional automotive scan tool will help you to pick the best for your car. Check out this expert guide here..